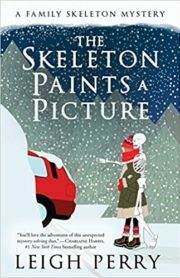 I was recently asked why I’d chosen to write a mystery about an ambulatory skeleton. I replied that it was because of the old adage: Write what you know. After all, we’re all skeletons under the skin. And flesh, and tendons, and all that other messy stuff. After that, the woman decided not to ask me any more questions. Seriously, I’m not sure why I decided to write about a walking, talking skeleton named Sid. All I remember for sure is that I can track the idea back to May of 2004. I told my husband about Sid–he was always named Sid–then wrote a few pages and sent to my beta-reading pals to see if they thought there was a book in it. All three of them seemed to think it would work, and I did some initial research and planning, but other projects intervened and I didn’t pick it up again until 2011. That’s when I was pitching ideas for a new series to my agent and editor, and I put together a packet of eight. Both the agent and editor them zoomed in on Sid’s story. I guess they’re skeletons under the skin, too. 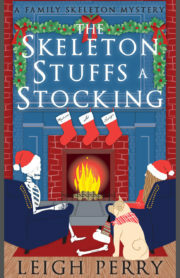 As you might guess from the idea of a walking, talking skeleton, A Skeleton in the Family is a paranormal mystery. I was inspired by old TV shows like Bewitched, I Dream of Jeannie, and The Ghost and Mrs. Muir to write about a world that’s pretty much like the real one, with one key difference. In this case: Sid. Sid has been part of Georgia Thackery’s family since she was a little girl, but only she, her sister Deborah, and their parents know about him. Not even Georgia’s teenaged daughter Madison has met him. But when Georgia and Madison move to the family home so Georgia can take a job at the local university, it’s a whole lot tougher to hide him up in the attic. Then Sid spots a person he recognizes from when he was more traditionally alive, and old memories start to surface. He wants to know where he came from. Georgia agrees to help him solve his own murder, but when they find a much fresher murder victim, it gets a whole lot more complicated. The Skeleton Haunts a House, the third in the Family Skeleton series, was released in October 2015. The Family Skeleton series mysteries are my first mysteries, but not really. 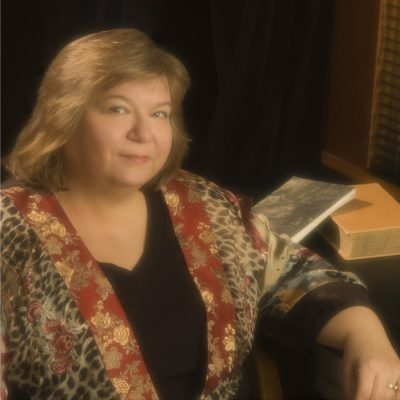 Under the name Toni L.P. Kelner I’ve published eleven novels and twenty-somthing short stories, and have co-edited six urban fantasy anthologies with New York Times best seller Charlaine Harris. I’ve adopted a pen name because this is a new series, and because paranormal novels are a departure for me. But it’s still me! 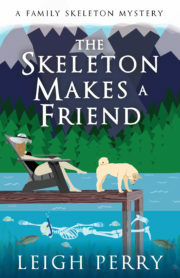 So if you like Toni L.P. Kelner’s books, you might like the Family Skeleton series, too. If you don’t like Kelner’s books, forget I said anything — I never even heard of that Kelner woman. Though I was born in Pensacola, FL and raised in Charlotte, NC, I’ve been living north of Boston, MA for 26 years or so. I share the house with my husband, two daughters, two guinea pigs, and a ludicrous selection of books. While the population of people and guinea pigs stays constant, the number of books is on an ever-rising curve.